Did you know that 10 species of Rafflesia, also known as the largest exotic flower in the world, can only be found in the Philippines? It is exclusively found in South East Asia and can grow up to 3 meters across. Apart from the Philippines, it can also be found in neighboring Borneo and Malaysia where Rafflesia arnoldii, the largest of its kind, usually grows. There are a total of 28 species scattered throughout the region with other unknown varieties still awaiting discovery. 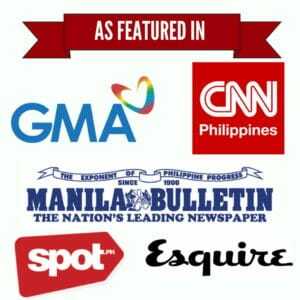 Out of these 28 species of Rafflesia, 10 are found in the Philippines. Among these is Rafflesia manillana from Luzon which is also considered as the smallest Rafflesia variety in the world. Other endemic Rafflesia can also be found in the provinces of Kalinga, Quirino, Antique, Laguna, Quezon, Cotabato, Panay, and Compostela Valley. Rafflesia is one of the strangest plants you can ever find in the botanical world. Without any leaves, roots, or even stem, Rafflesia relies on another plant in order to survive. It has a parasitic relationship with Tetrastigma, a grape-like vine which enables Rafflesia to propagate even without photosynthesis. Rafflesia is also known as carrion plant because it attracts its pollinators like flies and carrion beetles through its foul odor described as “more repulsive than any buffalo carcass”. This is exactly the same reason why Rafflesia is often referred to as the “corpse flower”. Like butterflies, Rafflesia once bloomed is only days away from its rotting stage. On average, Rafflesia only lasts for only 5 to 7 days after its flower becomes fully bloomed. By the time it reaches its maturity, Rafflesia starts to emit its characteristically foul smell to attract its pollinators. In addition to its very short life span, Rafflesia has also been deemed endangered due to the rampant conversion of its lowland forest habitat into farmlands. 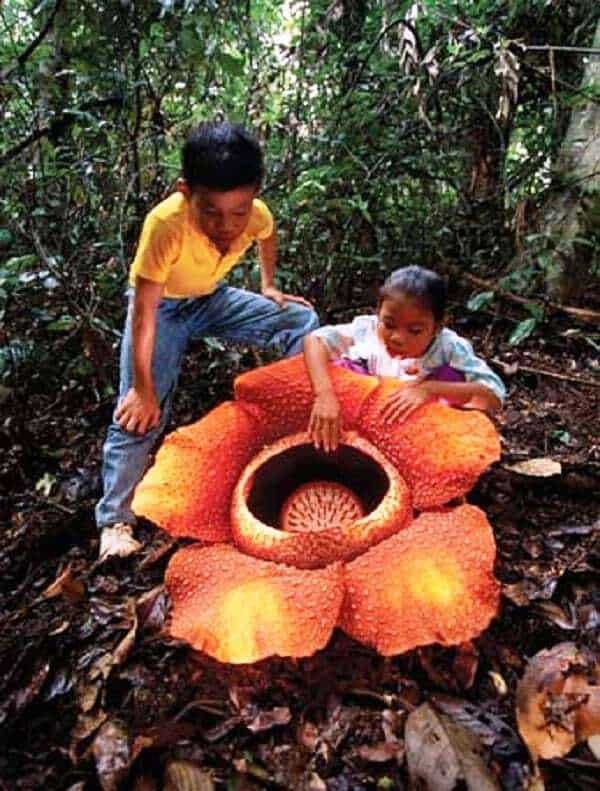 Unlike in the Philippines where Rafflesia is rarely known, other Southeast Asian countries have turned this giant parasitic flower into a tourist attraction. Dubbed as the “panda of the plant world”, Rafflesia has been the icon of plant conservation and the source of fascination among plant enthusiasts around the world.